The year 2019 promises to be a critical year for historians of baseball, race, and civil rights. 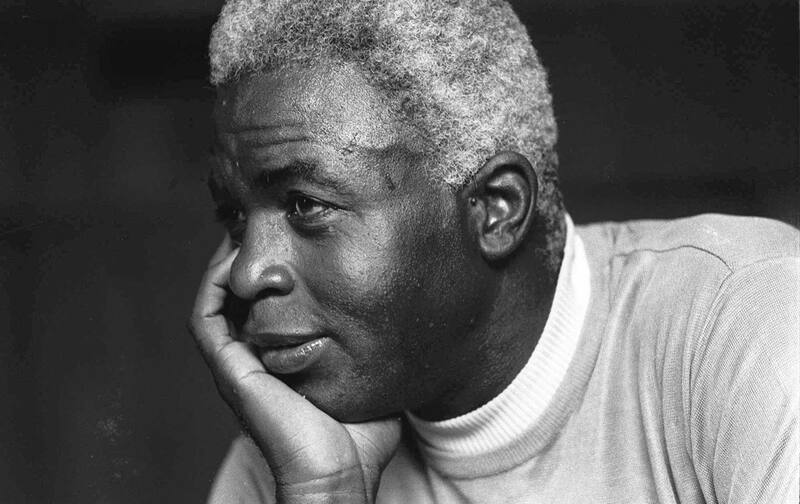 It marks the centennial of Jackie Robinson’s birth: a time to assess how far we have come since the man who broke Major League Baseball’s color line was born, and of course how far we still need to travel. It is a time to remember someone whom Dr. Martin Luther King Jr. called “A sit-inner before sit-ins; a freedom rider before freedom rides.” This is why a recent decision by George Washington University is so confounding. GW has, for 22 years, offered a lauded project on the history of Jack Roosevelt Robinson, called the Jackie Robinson Project. Taught by professor Richard Zamoff, it has looked at every aspect of Robinson’s life and the broader context of the political moment through which he lived. The project has been a trailblazer, teaching the social impact of sports long before the name “Colin Kaepernick” was the topic of so many debates and discussions. Yet now GW’s College of Arts and Sciences says it will be phasing out the program once the commemoration of Robinson’s 100th birthday has been recognized. Students will no longer have a project that advances principles of social justice through sports history. The Project, which was created in 1996 in preparation for the 50th anniversary of Robinson’s historic breakthrough, has been commended by Rachel Robinson (Jack’s widow) and Sharon Robinson (Jack’s daughter), who have visited GW to demonstrate their support. Over the past 22 years, this self funded Project has offered a Lecture Series, museum exhibit, and educational initiative to almost 8,000 students and 300 teachers in ten states and the District of Columbia. Contrary to claims by the Dean’s Office, the Jackie Robinson Project currently has funds needed to continue high quality programming for three years with more donors waiting in the wings to contribute when they are assured their contributions will not be diverted by the GW administration to other programs and activities. In reviewing the project, it was discovered that in recent years the Jackie Robinson Project’s expenses have significantly outpaced donations and the project’s available funding is diminishing…. Rather than watch as the project depletes its remaining funds, we encouraged the project to end on a high note with the celebration of Jackie Robinson’s legacy on his centennial. At the close of the academic year, should there be any funds remaining, we would look to reallocate those funds somewhere else on campus as a way to continue educating GW students about this great American. We hope the project director accepts the offer and we look forward to continuing conversations with the project on ways that our GW community can celebrate the life and achievements of Jackie Robinson. The recommendation to terminate the Jackie Robinson Project rests on the TOTALLY FALSE premise that the Project is not financially sustainable. However, the Project Director has guaranteed that the Project now has the resources to offer the same quality programming it has been offering FOR THE NEXT THREE YEARS. Furthermore, donors have pledged additional contributions IF THEY CAN BE ASSURED THEIR DONATIONS WILL NOT BE DIVERTED TO OTHER UNIVERSITY PROGRAMS (which the administration threatens to do). Administrators recommending the termination of the Jackie Robinson Project have NEVER attended ANY JR Project event and have NEVER spoken to a single GW student, Project staff member, or student, teacher, or principal in the 55 schools affiliated with the Project. The Jackie Robinson Project has impacted thousands of GW students and almost 8,000 younger students and 300 teachers and administrators in schools and community organizations. The recommendation to terminate the Jackie Robinson Project at the end of the 2018-2019 academic year must be rescinded so this immensely popular Project can continue to promote the Jackie Robinson legacy as it has so successfully for the past 22 years. Zamoff has mounted a campaign to save the project, or at the very least receive some tangible reason why, after so many years, this program is on the chopping block—especially in a time when understanding the intersection of sports and social justice has never been more relevant or pressing. In his effort to save the project, Zamoff has secured dozens of letters and e-mails demanding that the program continue, and questioning why—in this of all years, right before the centennial—the project is on the chopping block. Sharon Robinson lists her father’s values as: courage, determination, teamwork, persistence, integrity, citizenship, justice, commitment, and excellence. Jackie was a fighter for integration, civil rights, and fair play for all. In these times, believing in Robinson’s values and their promulgation by the Jackie Robinson Project might seem to some as unworthy to be associated with George Washington University. We believe we are on the right side of history and hope George Washington University joins us by continuing to support the Jackie Robinson Project.